Would you like to tighten and firm the skin on your face, neck, or body? There’s now a non-invasive solution that really works! It is Exilis, the new mono-polar radiofrequency device that can help melt your fat away, increase collagen production, and tighten skin. 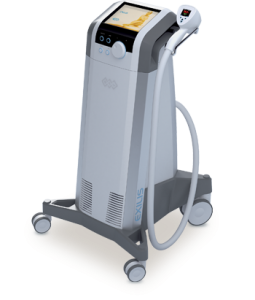 Exilis delivers deep thermal heat into the skin, initiating collagen remodeling, skin tightening, and fat loss. This groundbreaking procedure is the fastest body contouring treatment available. This relaxing, pain free treatment takes only 20 minutes per session and has been compared to a warm message. For more information regarding aesthetic services and to set up a complimentary consultation regarding your body countering goals visit Celsia MediSpa.